The party was styled by Melissa Johnson of Best Friends for Frosting fame and she outdid herself. We've been wanting to work together for a while now and I'm so glad we finally got to collaborate on a project. These kids were so full of personality (and energy!) after all the sugar they ingested. 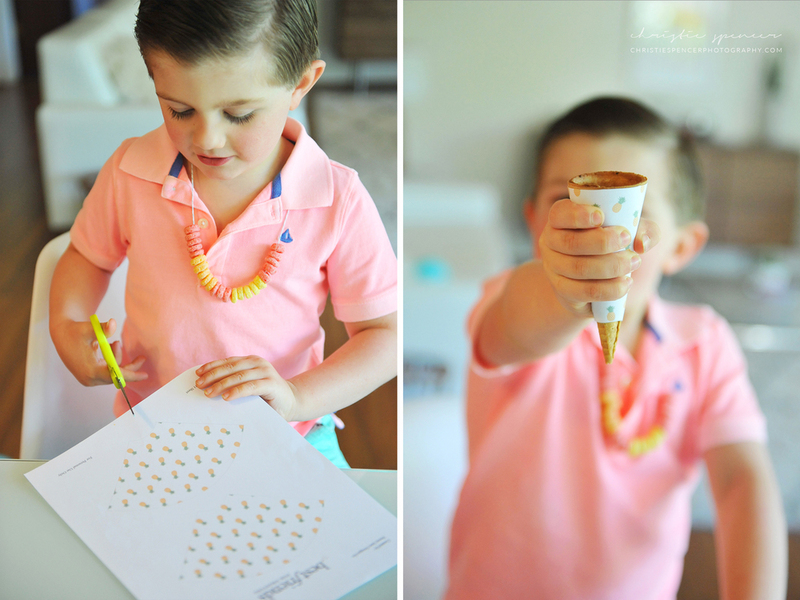 From crown making to cereal necklace crafts to cutting out custom ice cream cone wrappers, these kids had a ball. To end the party, the kids went outside to have some ice cream. How cute is this ice cream truck tent? It was so fun to be a part of this project. Check out the feature over at Better Homes & Gardens and Best Friends for Frosting for sources and more info!